Are you looking for a utility that will allow you to quickly create professional, well worded documents? 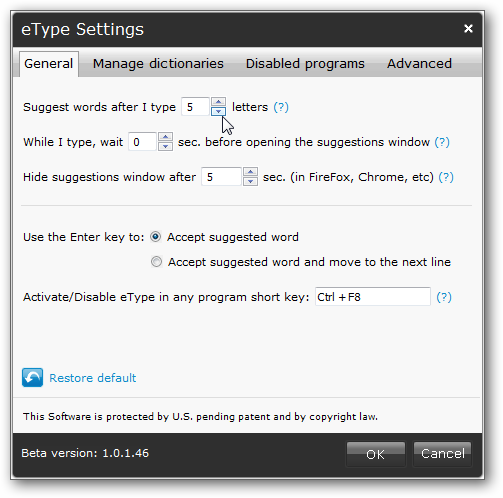 Today we take a look at the word completion eType Beta, and we have 1,000 invites for our readers. Installation is pretty basic following the install wizard, but there are a couple of things to pay attention to. 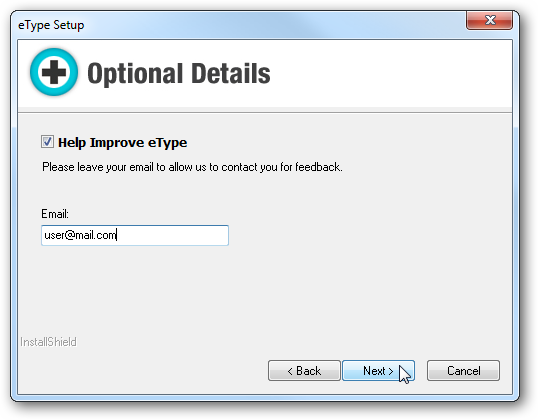 You can set it up to help improve eType and provide your email address for them to contact you for feedback. 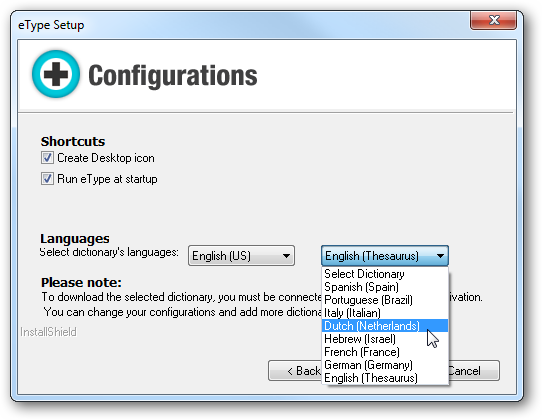 During setup you can also choose from several different languages. After installation is complete, you’re shown a congratulations screen and how to start using it. To start with we went ahead and opened Notepad and started typing. 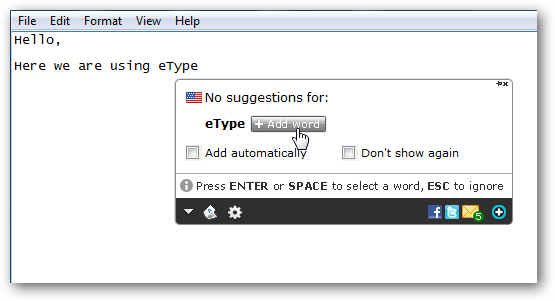 After the first three keystrokes the eType box pops up with suggestions to complete the word you’re typing. If a word isn’t recognized you can add it to the dictionary. This really comes in handy when writing documents that have odd acronyms and unique spellings. 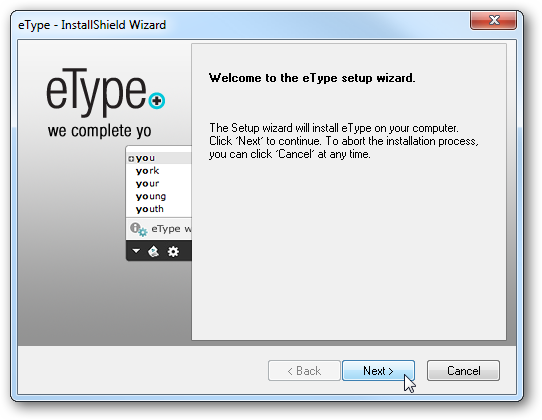 The cool thing about eType is it will work with essentially any program or site that is compatible with Windows XP and above. 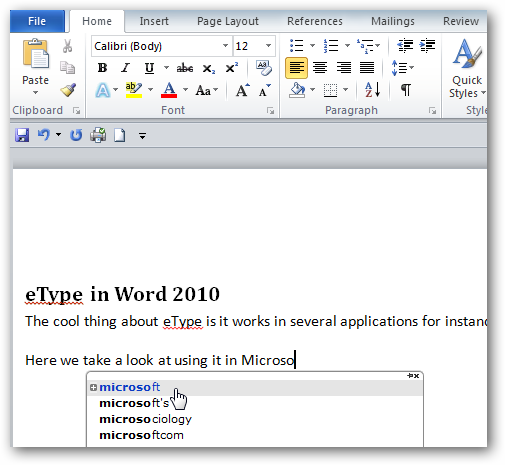 Here we’re using it in Word 2010. 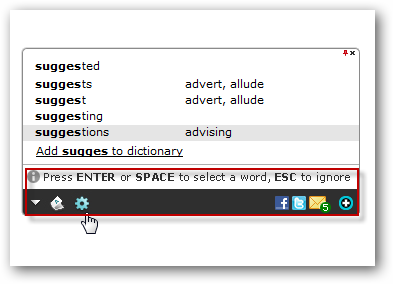 When a suggested word comes up you can either user the pointer to select it, or simply hit the spacebar or Enter key. 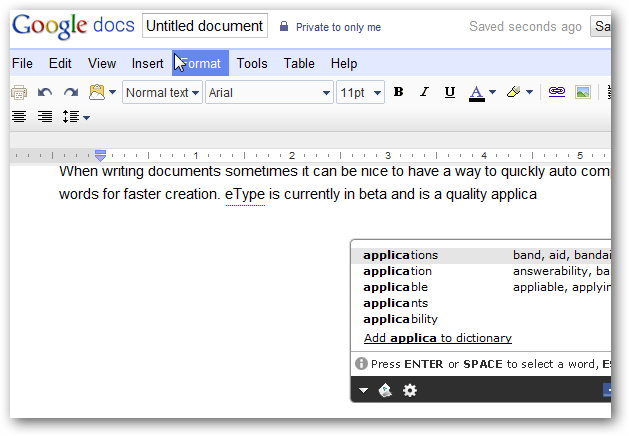 Here we are using it in Google Docs and it works the same as with locally installed writing apps. While it does work well with most programs and online services, we found it to be a bit buggy while using it in Pidgin and other IM clients. You might want to disable it when sending Instant Messages since abbreviations and emoticons are unique compared to professional writing. At the bottom of the eType window you will notice a toolbar where you can select gear icon to change its settings and behavior. Here you can choose things like the amount of letters typed before it makes a suggestion, hiding the suggestions windows after a period of time in your browser, and a keyboard shortcut to activate and disable the utility. 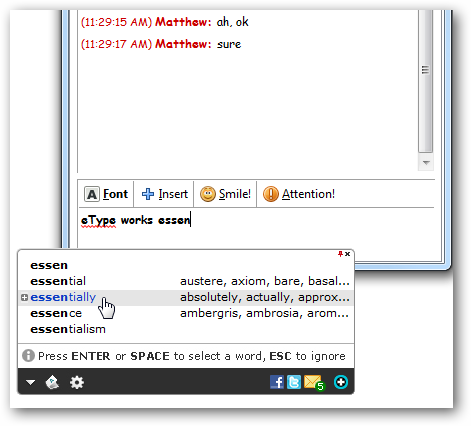 It allows you to set up different dictionaries so you can translate words into your native language which can come in handy when working with colleagues overseas. 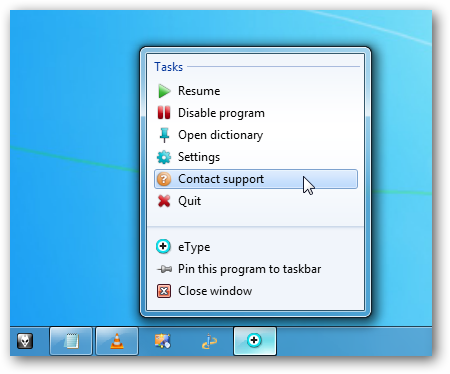 You can also access settings by right-clicking the Taskbar icon. 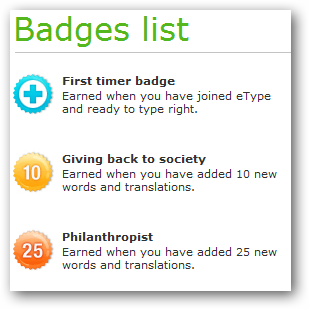 They also include a Scoreboard with a list of Badges you can earn based on how much you use eType and how you use it. 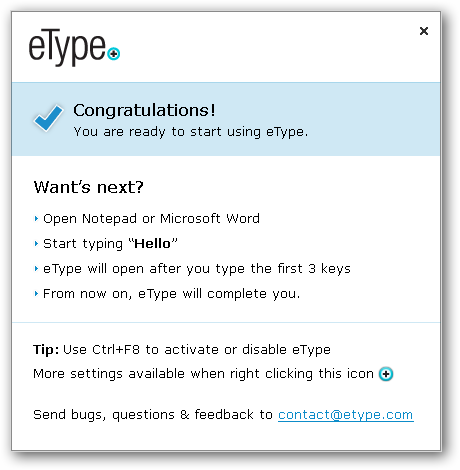 Remember that eType is still in Beta and you’ll experience some bugs with it like we did when using it with IM and some online forms. Luckily you can toggle it off by pressing Ctrl+F8 in those situations. Also if you’re using multiple monitors, the eType screen doesn’t follow you to the application you’re using. It does take some getting used to, but after using it for a while you will really enjoy having it. Also, we talked with the eType reps and there are a lot more features on the way, so look forward to that. 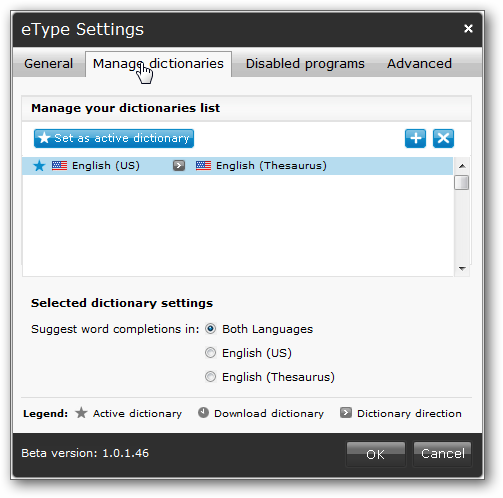 Even with its few hiccups, it’s not a deal breaker by any means, and if you’re a writer looking for a tool to help your spelling and grammar, eType is definitely worth a look. The beta is completely free available by invite only…but we have 1,000 invites for you. Just go to the following link and get your copy of eType! For more check out this quick demo video.